prudent spokesperson for our nations cultural health is a glory itself. country as customers was even more so. Or, as the Visa card ad says, Priceless. those who had never heard of him before. good day when we get to tell folks about how important Fabric of Faithfulness: Weaving Together Belief and Behavior (IVP; $18) is to us. (Planes Trains and Automobiles) and television, and has written for Seinfeld, SNL and My Name Is Earl. capture this crazy lady’s style—and she rocked the big house at IAM. had all of Mr. Collins’ volumes (Sailing Alone Around the Room, The Trouble with Poetry, Questions About Angels, etc. etc.) but naturally stacked up his new one, Ballistics (Random House; $24.00.) 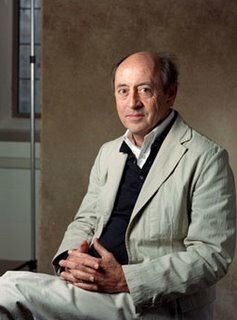 I just love The New Yorker when they write that Collins is “A poet of plentitude, irony, and Augustinian grace.” Entertainment Weekly writes that he “spins gold from the dross of quotidian suburban life…” Gotta love that, eh? to Annie Dillard, luminous and important writers grace their pages. Here, then, in no particular order, are a good handful of titles that we sold–or tried to—at the IAM Encounter 09. Please recall that this is not an exhaustive list, but just a few recommendations. Call or email if you want more ideas, or are looking for something specific. We’d love to help. We do not learn creativity by means of ‘how to.’ There are only incarnations of creativity, which speak, instruct, guide, and inspire. In Walking on Water, Madeleine L’Engle shares the enfleshment of the Creative in her own life and in the lives of others. She helps us hear the call to become what, in truth, we already are: creative imagebearers of the God who first reveals himself as an Artist. Breath for the Bones: Art, Imagination, and Spirit: Reflections on Creativity and Faith Luci Shaw (Nelson; $19.99) Luci is a beloved poet, a great Christian writer, a leader in Christian publishing, and, in her older years, still as active and hopeful and generative as ever. 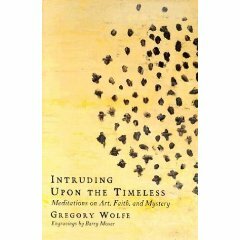 This is a book many of us have been waiting for, the reflections of her own creative process, her ruminations on not only how faith informs art, but how art animates faith? From Emily Dickinson to Annie Dillard, she draws on the best writers of our time to discuss this grand, grand matter. There are writing exercises for those so inclined and excellent discussion questions for the rest of us. This is provocative and challenging, accessible and a joy to read. We commend it often, wish that it might be read widely, and assure you that it, like the Walking on Water written by her best friend Madeleine L’Engle, would make a perfect gift for an artist you want to encourage, or an arts supporter who you want to more effectively inspire. This is breath for weary bones! Art for God’s Sake: A Call to Recover the Arts Philip Ryken (P&R; $5.99) At this price, with this vivid insight, this is the bargain of the decade! Perhaps what Schaeffer’s little Art and the Bible did for a previous generation of culturally-savvy young evangelicals, this wonderful apologetic could also do for our own. This makes a Biblical and theological case, rooted in historic faith—Ryken’s father is the renowned literature scholar from Wheaton, and he, the pastor of 10th Presbyterian in Philadelphia. With members of the renowned symphony in his parish, and students from the near by art school, he has to be up on this stuff. As one committed to an intentionally faithful world and life view, he naturally has a keen appreciation for the common grace of excellence in the arts. This is a manifesto, a Bible study, a call for gentle, caring action in a world in need of goodness and beauty. Buy a bundle and give ’em out! Finding Divine Inspiration: Working With the Holy Spirit in Your Creativity J. Scott McElroy (Destiny Image; $15.99) I don’t know about you, but I sometimes worry when Spirit filled folks start asserting that it was God’s own Dove that caused them to do this or that, told them this, led them there, simple of that, Praise Jesus. Many of us are happy for such gracious moments, but prefer a more humble, subtle rubric in talking about it. Still, I couldn’t resist this author when we first spoke, nor his book when it came, and found it to be a true (dare I say it?) inspired work. McElroy is a good, good, guy, who has done the requisite homework, has reflected on the need for a Christian perspective in aesthetics, and desires to hone his craft with excellence and nuance. And, yes, he helps us remember to call forth the giftings of the Spirit, to rely on God, to fine, as he puts it, “divine inspiration.” Not a bad idea, ya know? Kudos to Mr. McElroy. His presence at the IAM gig was a delight, and we recommend his book to you. Relectant Partners: Art and Religion in Dialogue Ena Heller (MoBia; $35.00) Do you know the MoBia (Museum of Biblical Art in New York? It is a thrilling, top-class art museum dedicated to art whose focus is something about the Biblical texts.) Ms Heller is the energetic and brillantly aware curator director of this creative spot. She’s also a fabulous scholar of the interface of faith and art, and this major work shows her insight. Packed with illustrations, plates and example of creative work. Highly recommended. God in the Gallery: A Christian Embrace of Modern Art Daniel A. Siedell (Baker; $24.95) Ever since meeting Daniel at Jubilee 09, I am drawn more and more to this thick and serious book. I’ve seen some of his compiled books of shows he has curated and watched him interact with other artists. This may be, in many ways, a huge jump into a new circle of discourse, a shift and deepening of perspective and method. Not every evangelical book on a Christian publishing house bears an endorsement by the prestigious (secular) scholar of contemporary art, Dr. James Elkins. Nor do many bear a blurb by IAM founder and creative director, Makoto Fujimura. There is a passionate embrace of common grace (as Books & Culture editor John Wilson puts it) and there is very, very much to celebrate here. As much about modern art as art criticism, as much about a Christian worldview as the act of celebrating common grace. A must-read for anyone serious about the conversations and practices of faithful Christian engagement with modern culture. Visual Faith: Art, Theology, and Worship in Dialogue William Dyrness (Baker; $22.00) This was one of the first in the prestigious Baker “Engaging Culture” series, and bears endorsements by world-class scholars such as Jeremy Begbie (Cambridge, St. Andrews, Duke) and E. John Walford and Gregory Wolfe. I like the way this includes reflections on the role of art in modern society, how Christian artists might thrive in the secular gallery scene and larger art worlds, but also how arts can be properly “exploited” (is that a fair word?) for Christian worship. The Protestant church, particularly, has for too long been largely insensitive to the traditions and joys of visual art, and this is a major, hefty contribution. isual elements are, in fact, incorporated into worship. Dyrness has thought this through well (see Visual Faith) and now he has listened and observed well, using his interviews as springboards into illuminating insights. An important bit of research, with important consequences for the health of the people of God. Inclusive Yet Discerning: Navigating Worship Artfully Frank Burch Brown (Eerdmans; $20.00) Anyone following the important conversations about worship renewal in the past decade has surely heard of the prestigious and helpful Calvin Institute of Christian Worship in Grand Rapids, MI. John Witvliet has done heroes work, here, and in this “Liturgical Studies” series of books, he’s brought out important and thoughtful resource for the renewal of contemporary worship practice. This volume is about the relationship of theology, worship, and the arts—“a complex interweaving” as Jeremy Begbie puts it in his rave review. Frank Burch Brown is known for his work in Indianapolis (Christian Theological Seminary) and the University of Chicago Divinity School. Those interested in thoughtful Christian art criticism know well his book Good Taste, Bad Taste, Christian Taste: Aesthetics in Religious Life (Oxford University Press; $35.00) which was one of the most talked about books in Christian arts circles a few years back. This new book is exciting as he offers insight based on his own obvious care for the subject and his interest in a practical theological aesthetic that will serve the churches well in their efforts for more lively and mature worship. Still, it isn’t a guidebook as he is in conversation with scholars such as David Bentley Hart, Pope Benedict, David Tracey, Carl Daw, Calvin, Luther, Wesley, Barth, and sociologists like Robert Wuthnow. Fascinating stuff. Art in Service of the Sacred Catherine Kapikian (edited by Kathy Black) (Abingdon; $25.00 This is without a doubt the most invaluable resource for anyone interested in seeing what contemporary artists are doing to adorn their churches, worship spaces, camps, retreat centers, chapels, fellowship halls and other sacred spaces. Many congregations today are examinging the role the arts play in creating an more enhanced sacred space, and how the arts can help usher folks into the very presence of God. The work of the artist and the work of the church are bound. There is a DVD included in this book which shows numerous examples of good efforts made to enhance various sort of settings, with notes on the installations. Art and art-making need not be done for the church, but it certainly should be one venue, for some artists. Whether you are a visual artist or a creative type in the congregation, whether you are a worship leader or a supporter of the local arts, you should have this resource handy. The author, by the way, is director of the Henry Luce III Center for the Arts and Religion at Wesley Theological Seminary. The Beautiful stirs passion and urgency in us and calls us forth from aloneness into the warmth and wonder of some eternal embrace. It unites us again with the neglected and forgotten grandeur of life; for in some instinctive way we know that beauty is no stranger. We respond with delight to the call of beauty because in an instant it can awaken under the layers of the heart some forgotten brightness. Imagination and the Journey of Faith Sandra M. Levy (Eerdmans; $18.00) This book asks why we are so open to mystery, to glimpses of the Transcendent in our daily lives. Levy is both a clinical psychologist and an Episcopal priest and she is a good guide, it seems to this journey to deeper imagination. I suspect you should read Brueggemann’s The Propehtic Imagination alongside it, and Seerveld’s call to allusivity in Rainbows for the Fallen World. But this looks really, really good, and with endorsements from Jill Pelaez Baumgaertner (of Wheaton) and Jerome Berryman (of Godly Play fame) this is surely an important and vital new work. Interestingly, she insists upon the irony that the postmodern culture has eroded the features of our imagination, and that sound theological inquiry must include a witness to this hurting, beleaguered culture. Sacred stories and good art will help, she says, so this book should have been popular at our recent arts events. Spread the word! The Beauty of God: Theology and the Arts edited by Daniel Treier, Mark Husbands & Roger Lundin (IVP Academic; $22.00) Much, much has happened since IVP published in the mid-1970s Francis Schaffer’s two brilliant little, life-saving essays Art and the Bible and Art in the Bible as a booklet entitled Art and the Bible (IVP; $8.00.) How great that it was recently re-issued in a small paperback with a new forward. Now, years later, after having done numerous enduring, excellent basic books on the arts like the wonderful Scribbling in the Sand: Christ and Creativity by Michael Card ($13.00), Imagine: A Vision for Christians in the Arts by British rock critic Steve Turner ($13.00) and the must-read, top-notch, nearly perfect Art and Soul: Signposts for Christians in the Arts by Hilary Brand & Andrianne Chaplin ($30.00) they have now released a stunning collection of scholarly contributions in a variety of aesthetic and arts-related fields. From Jeremy Begbie on Bach to Bruce Ellis Benson on David Bentley Hart, from E. John Walford on “Broken Beauty” to the thoughtful and prolific scholar/artist Bruce Herman on the same, to Roy Anker on film and Jill Pelaez Baumgaertner on poetry, and so much more, The Beauty of God is a noteworthy contribution for serious Christian artists and scholars approaching the questions of divine beauty and ruminations on the theological meaning of the arts in a fallen world. This book is not only a serious addition to our libraries on the arts, but is a major step forward for theologians who are able to so cogently and respectfully write in interdisciplinary ways. I still recommend IVPs early easy books for those starting out on the journey of relating faith and art. For those more advanced, this is a true gift, and example of the maturity of the discourse emerging from the thoughtful Christian center. ork) calls him “lucid and eloquent” and that “we are reminded that beauty is both transcendent and terrifying, calling us to consciousness of our mortality.” Luci Shaw says “if you are sick of banality and superficiality, dive into Portal of Beauty and be refreshed and enlarged.” Wow. The Creative Life: A Workbook for Unearthing the Christian Imagination Alice Bass (IVP; $15.00) This larger sized workbook is an excellent and thoughtful guide to, as she says, unearthing your imagination. Not quite as “new agey” as, say, the useful classic The Artists Way by Julian Cameron (which we happily stock), this is an inspiring and useful guidebook full of exercises for Christ-centered artistic growth. Very nicely done. Writing Tides: Finding Grace and Growth Through Writing Kent Ira Groft (Abingdon; $20.00) I’ve been wanting to give another shout out to this brother for a while: Kent is a good friend, a dear, dear, man, and an accomplished spiritual director. He’s written very creative books about the spiritual journey, has helped folks learn experiences of the soul that help in knowing God more deeply. 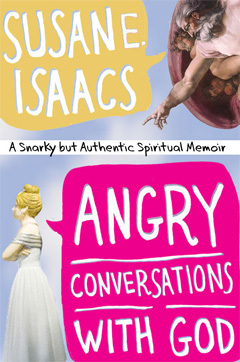 (Another excellent book, on men’s spirituality, is cleverly entitled The Journeymen.) He is a compassionate coach, an inspiring writer himself, offering exercises, quips and quotes to help you on your way. Again, not so much about being a professional writer, but how anyone can be more expressive in journaling, writing memoir or informal written storytelling. Very nice. The Gift: Creativity and the Artist in the Modern World Lewis Hyde (Vintage; $14.95) This is a book, recently out in a 25th anniversary edition, is one that we have stocked in the store, but I don’t think I ever realized how remarkable and important it is. Mako Fujimura, in fact, built his Encounter 09 IAM talk around this, and all were truly impressed. David Foster Wallace says of it, “No one who is invested in any kind of art can read The GIft and remain unchanged.” The famous novelist and critic Margaret Atwood writes, “The best book I know of for talented bu unacknowledged creators. A masterpiece.” You know that we have been promoting for nearly a year, now, the wonderful work by Andy Crouch, Culture Makers: Recovering Our Creative Calling (IVP; $20.00). I think he might like that line about “unacknowledged creators.” Yet, are all acknowledged, by God. May our culture soon more appropriately realize the importance of cultural creatives, artists, writers, patrons and philanthropists who help keep the world turning with color and insight, sound and not too much fury. Rainbows for a fallen world, Seerveld calls, em. Fresh Olive Leaves brought back to the ark–signs of life amdist the destruction. Given away for free, acknowledged or not. Bruce Cockburn has a song called The Gift. I wonder if it inspired by this book? Tune in to the BookNotes blog soon as I do another list of actual books of Christian artwork. From the latest glorious book by Bruce Herman to the work of Ted Prescott, to several books by Dutch painter Anneke Kaai, and a spectacular paperback collection of wood engravings by Peter Smith, we will have some descriptions and sale prices of some lovely gift books, collectors items, and books which show examples of the sorts of modern faithful art I’ve been writing about.